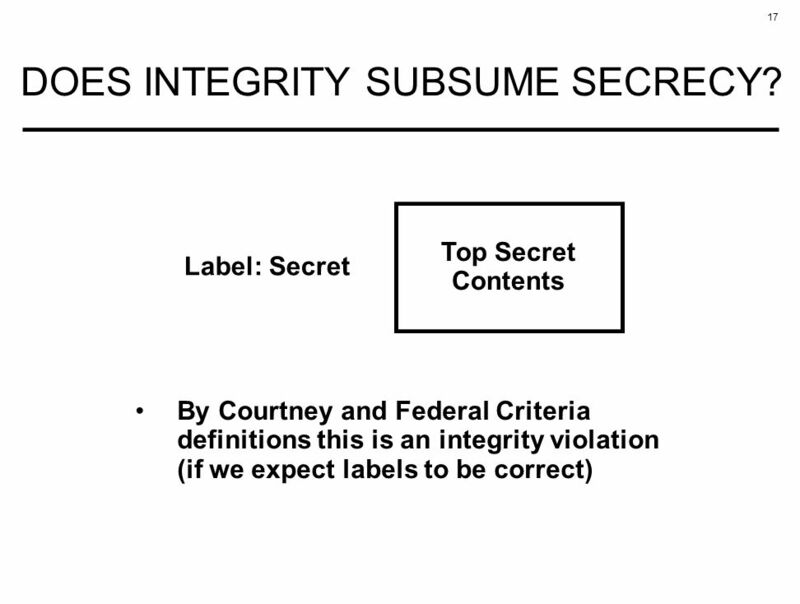 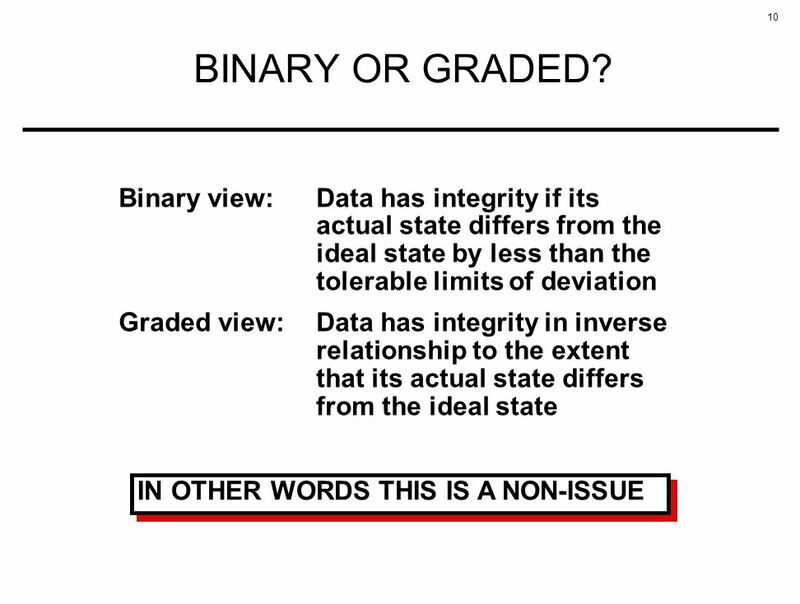 18 18 HOMEWORK ASSIGNMENT Unclassified Contents Label: Secret Is this an integrity violation? 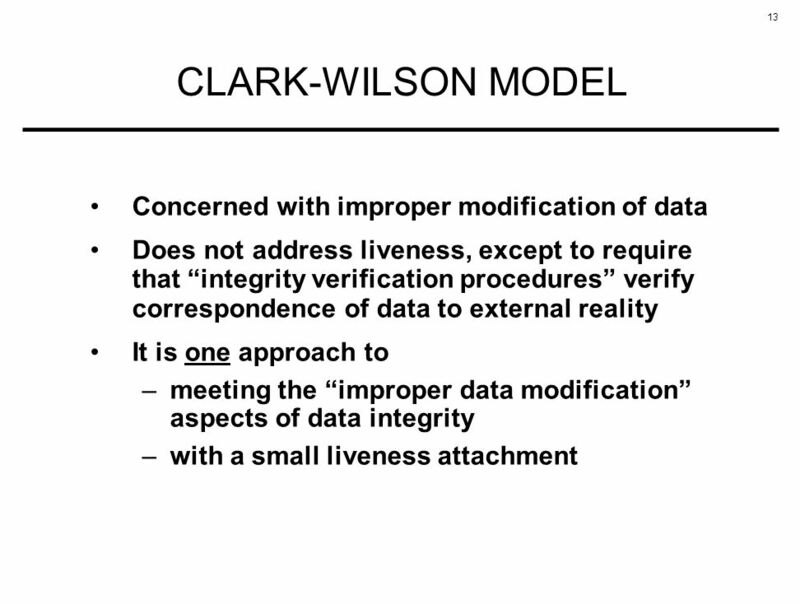 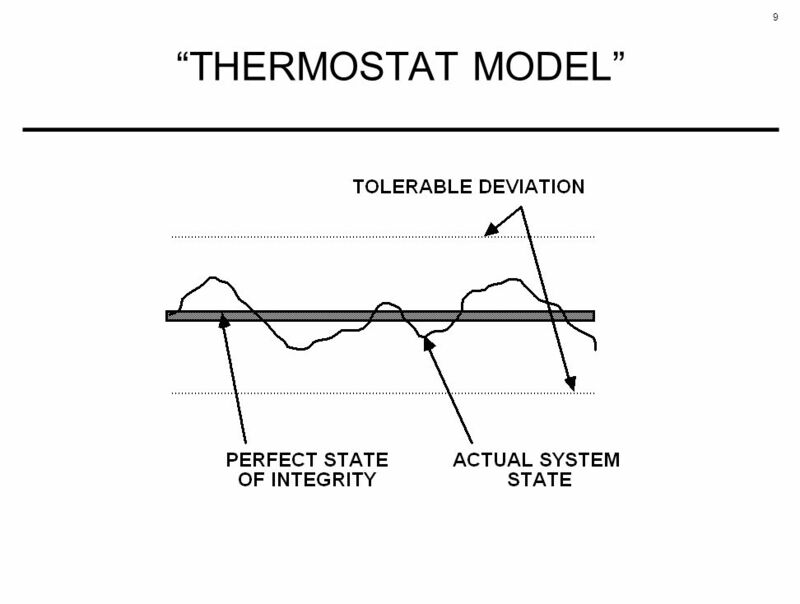 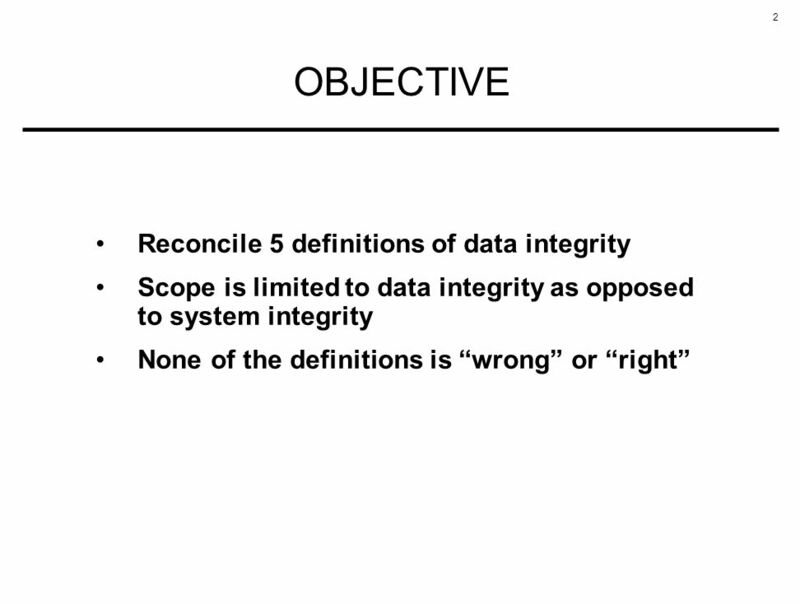 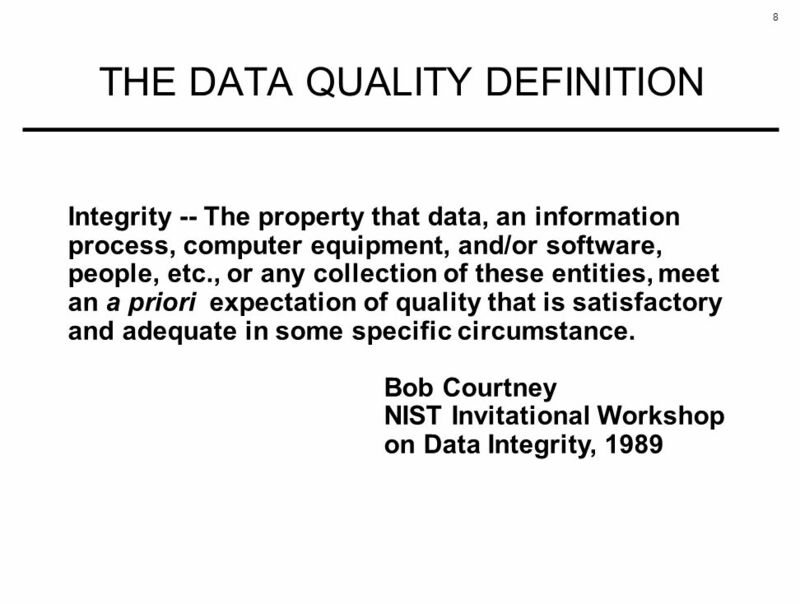 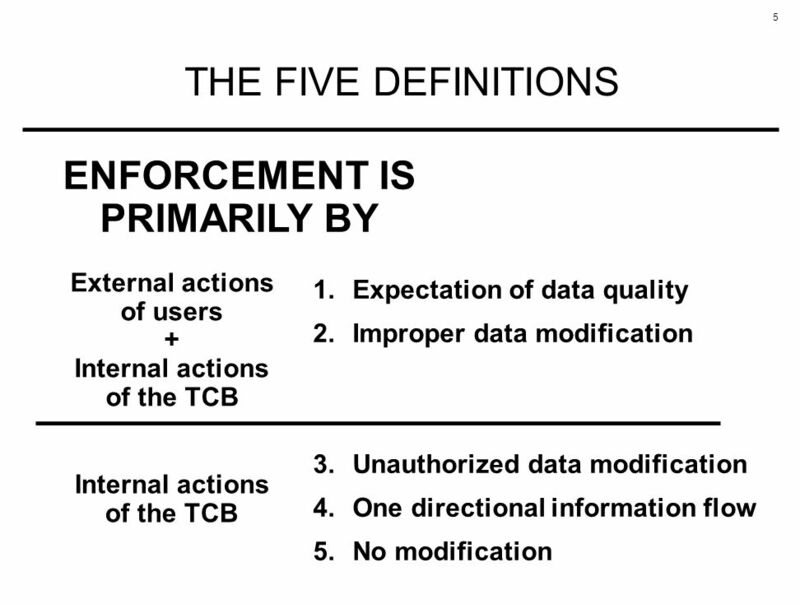 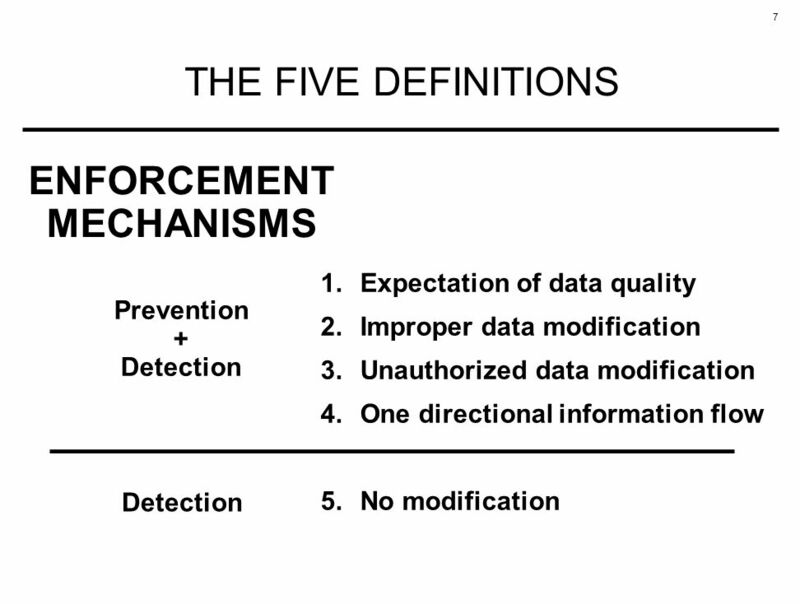 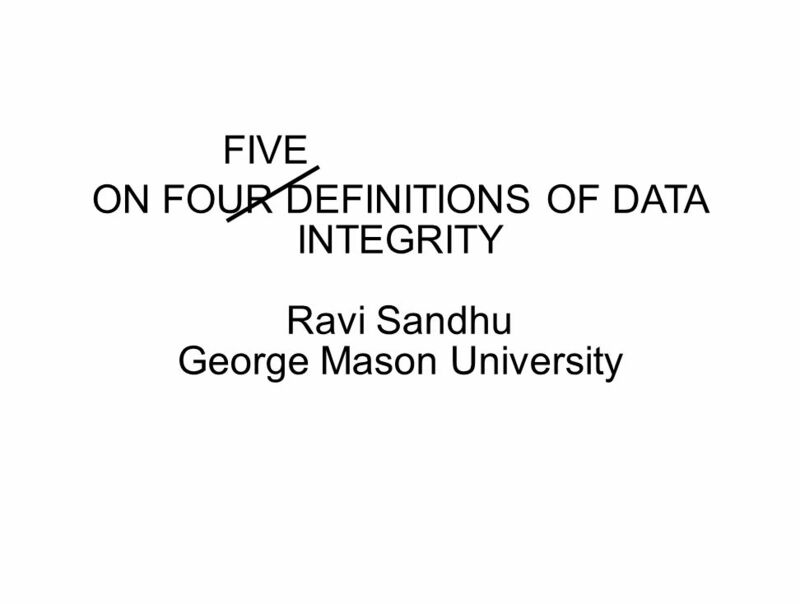 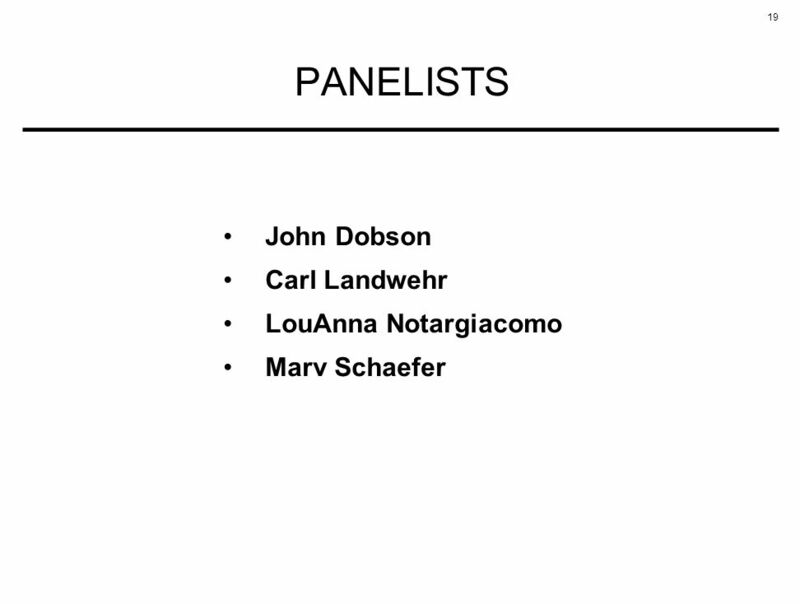 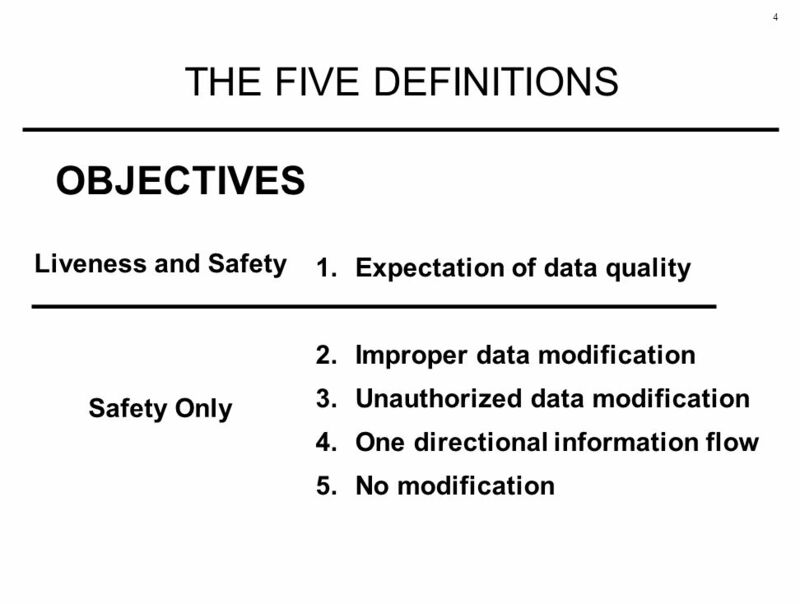 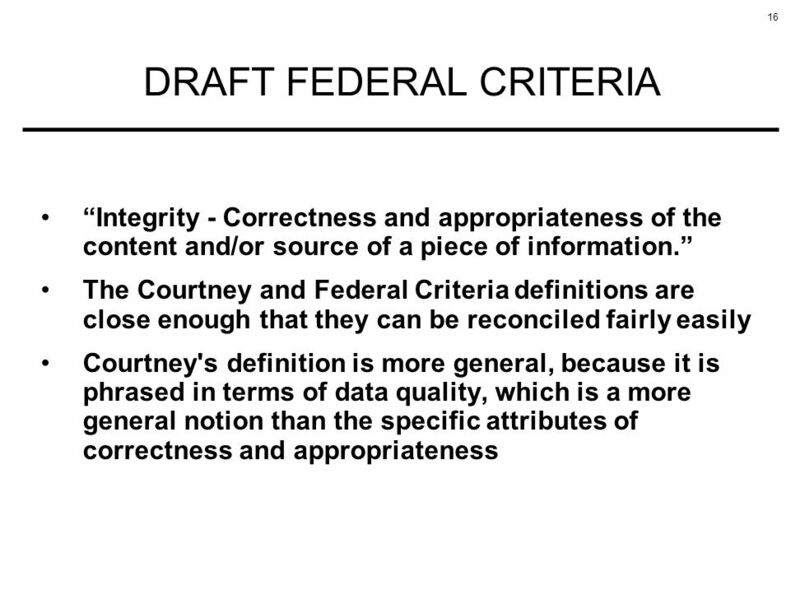 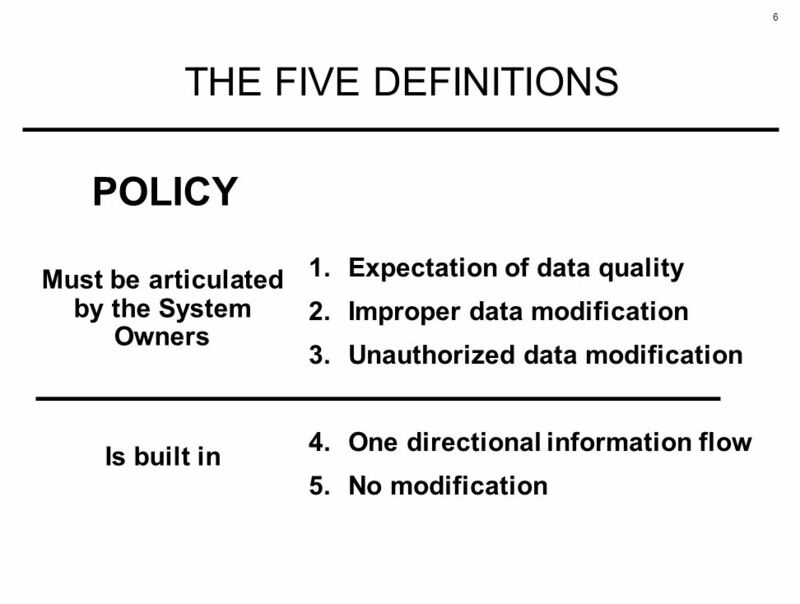 Download ppt "Title ON FOUR DEFINITIONS OF DATA INTEGRITY Ravi Sandhu George Mason University FIVE." 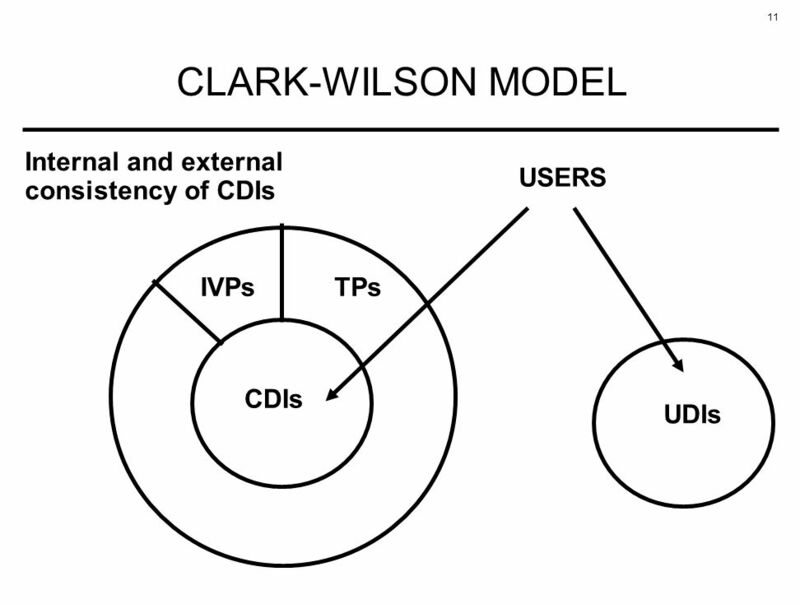 TOPIC CLARK-WILSON MODEL Ravi Sandhu. 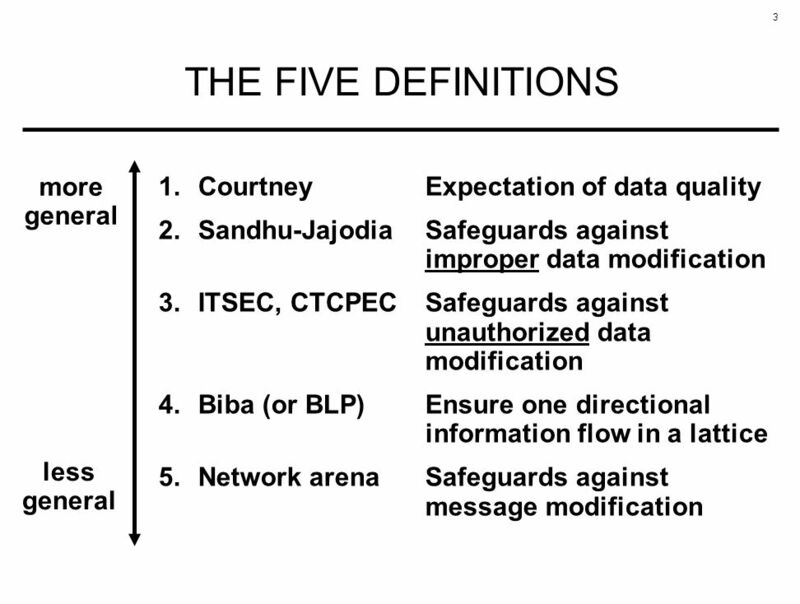 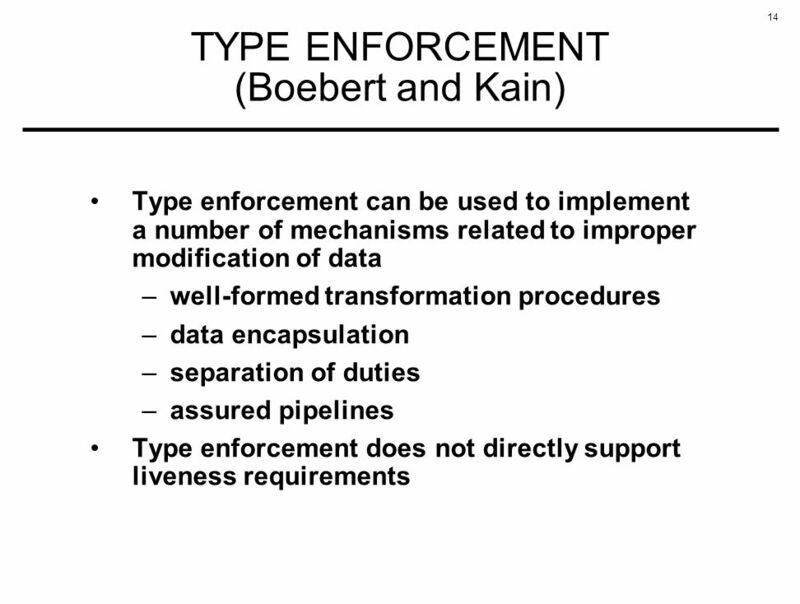 ROLE-BASED ACCESS CONTROL: A MULTI-DIMENSIONAL VIEW Ravi Sandhu, Edward Coyne, Hal Feinstein and Charles Youman Seta Corporation McLean, VA Ravi Sandhu. 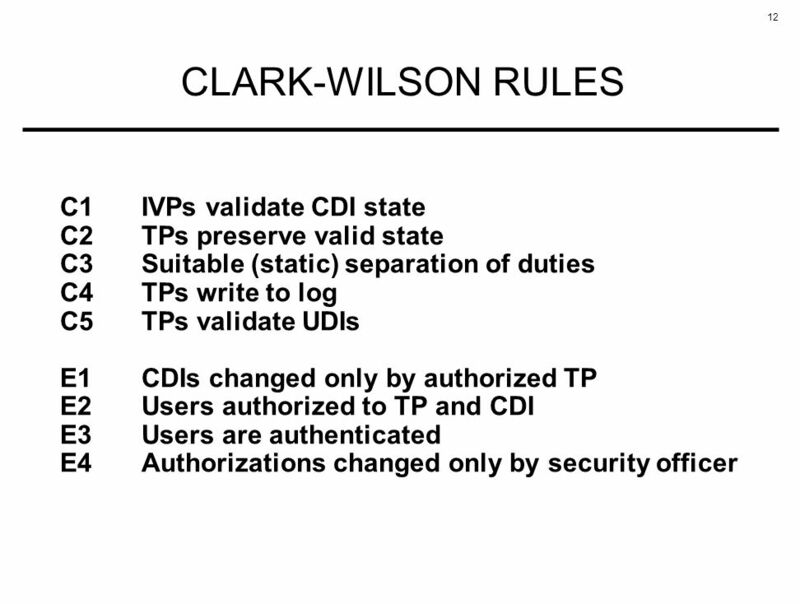 © 2005 Ravi Sandhu Permissions and Inheritance (best viewed in slide show mode) Ravi Sandhu Laboratory for Information Security Technology.